This statistic presents frequency with which bloggers access traffic analytics regarding their online content. 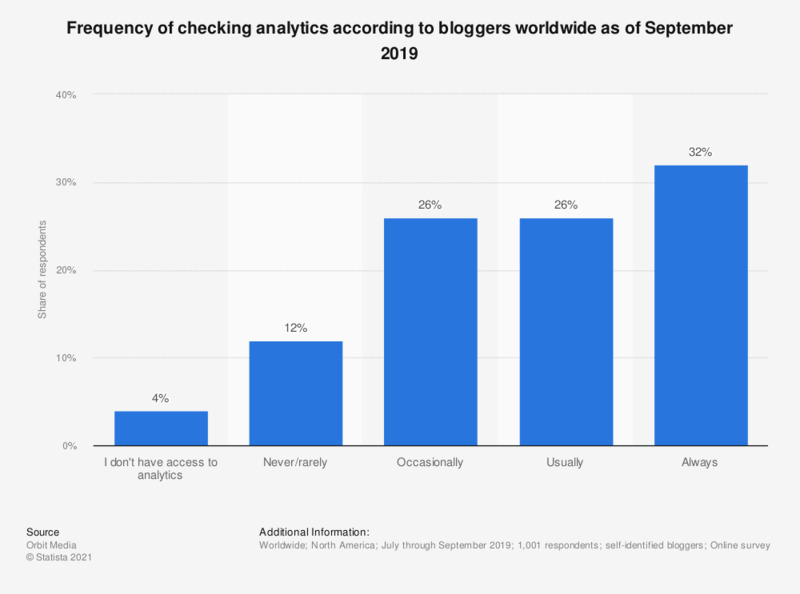 During a 2018 survey of bloggers it was found that 34 percent of respondents always checked analytics of their blog posts. The majority of survey respondents were located in North America.